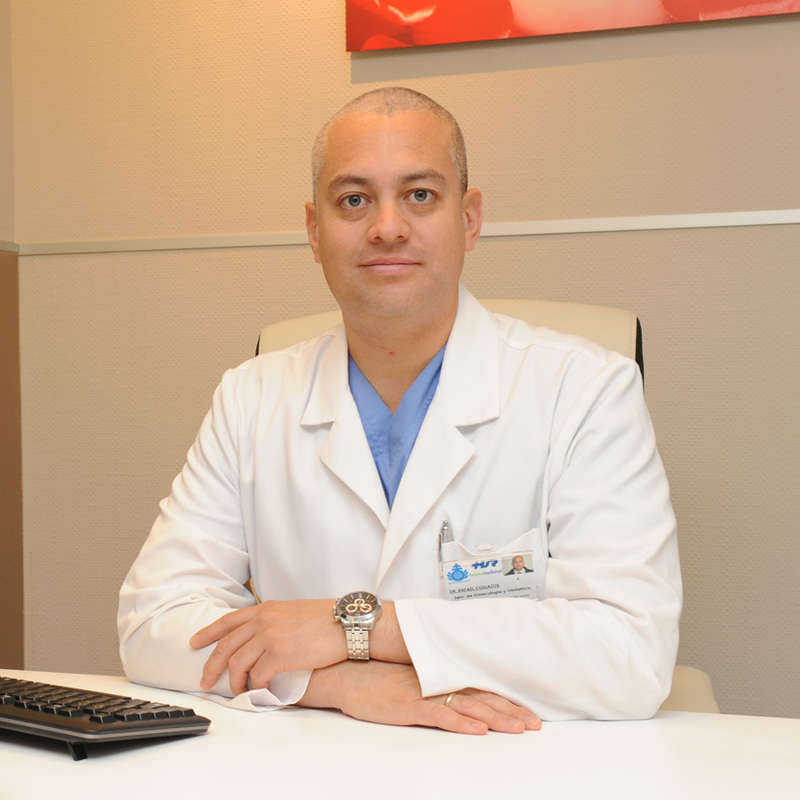 Dr. Rafael Collazos Robles, MD, PhD, is a specialist in Minimally Invasive Laparoscopic Surgery, Pelvic Surgery, Female Genital Cosmetic Surgery and Regenerative Gynecology Techniques. Chief of the Pelvic Floor Unit at San Rafael Hospital in Madrid, Spain. He is also Vice-President of the Spanish Society of Gynecology and Intimate Surgery (SEGECI), Member of the Spanish Society of Gynecology and Obstetrics (SEGO), member of the Research Institute of the University of Salamanca (IBSAL). Dr. Rafael Collazos was born and grow up in Lima, Perú, graduated from University Medical School, Lima, Perú in 2006 and received his Obstetrics and Gynaecology certification from the University Hospital Clinic of Salamanca, Spain in 2013. He completed his PhD in Medicine and Surgery with qualification ¨Cumlaude¨ from the University of Salamanca, Spain in 2013 too, becoming one of the youngest specialists in obtaining the grade of doctor. Master in Human Reproduction by the Valencian Institute of Infertility (IVI) and the Rey Juan Carlos University of Madrid in 2014. Level III of the Ultrasound Section of the Spanish Society of Gynecology and Obstetrics (SESEGO). He has presented more than 30 papers in national and international congresses, speaker in national and international congresses has published several articles and 4 book chapters.